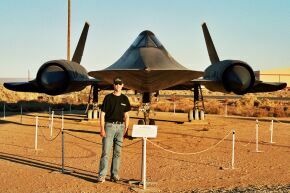 MilitaryAircraft.de is a private, non-commercial website, built, operated and maintained in Germany by Ulrich Grueschow. The website is provided for the information of users only. The site content may not be used, in part or in whole, in any form for any commercial purpose without expressed written permission. No endorsement is expressed or responsibility accepted for any content or use of any webpages linked from this website. Headquarter in downtown Berlin during Berlin Airshow. We make every effort to keep the information on our website current, but accept no liability whatsoever for the content provided. Pursuant to §7 par. 1 of TMG Tele-Medien-Gesetz (German Tele-Media Act), the law limits our responsibility as a service provider to our own content on this website. According to §§8 to 10 of TMG Tele-Medien-Gesetz (German Tele-Media Act), we are not obligated to monitor third party information provided or stored on our website. However, we shall promptly remove any content upon becoming aware that it violates the law. Our liability in such an instance shall commence at the time we become aware of the respective violation. Any military information contained within this website was gained through multiple non-classified materials and is not subject to the duty of secrecy. Neither the corresponding military component nor any other military and/or government organisation has approved, endorsed, or authorized this service. Use of these information is "AS IS", without warranty of any kind. MilitaryAircraft.de is not responsible for any contents linked or referred to or from our website, unless we have full knowledge of illegal contents and would be able to prevent the visitors of this website from viewing those pages. If any damage occurs by the use of information presented there, only the author of the respective pages might be liable, not the one who has linked to these pages. 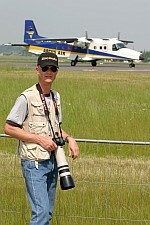 The copyright for all pictures and the web content on MilitaryAircraft.de is by Ulrich Grueschow. The corresponding pages and/or pictures are marked with "Copyright © 2005-2018 Ulrich Grueschow · MilitaryAircraft.de · Aviation Photography". 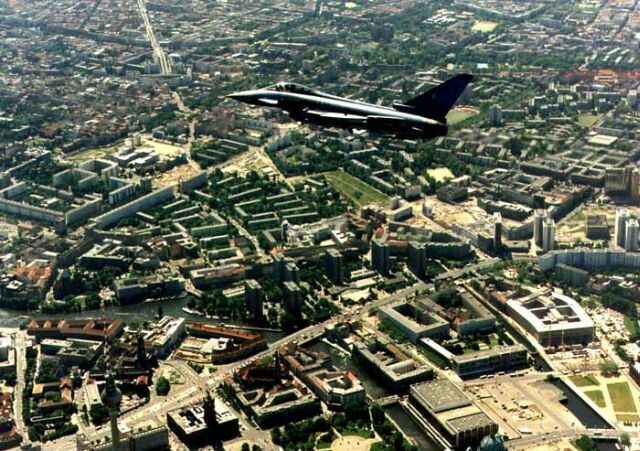 On a few of our pages you can find pictures from friends of MilitaryAircraft.de. These photos are also marked with an individual copyright mark. 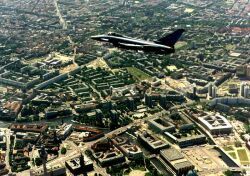 All photos and the web content on MilitaryAircraft.de may not otherwise be reproduced, distributed, cropped, resized, or otherwise altered without expressed written permission of the coresponding photographer. No use on any webpage and no commercial use of the photos may be made in any way. All rights are reserved. Linking to image files hosted on MilitaryAircraft.de is not permitted. Please link to HTML-Documents only. No copyright protection is asserted for trademarked logos by organizations showcased on MilitaryAircraft.de, which are owned respectively by the associated organization. 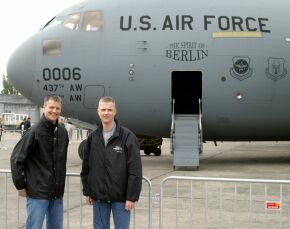 I would like to thank my brother and partner of Globemaster.de Peter Grueschow for his ongoing assistance, support, and cooperation, my cousin UM for his remarks regarding the photo administration and my "flying" friends from the German Air Force for their hospitality and being the perfect hosts and accomodating all my requests. 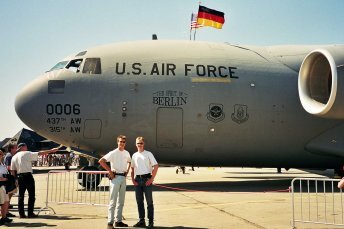 Globemaster.de owner Peter Grueschow & MilitaryAircraft.de Photographer Ulrich Grueschow and "our" Boeing C-17A Globemaster III "Spirit Of Berlin".